For some reason I love making a dessert, in particular pies. A couple of weeks ago, I decided to make a pie since I haven't made one in forever. I ended up making this one partly because I kind of have a large amount of Jell-o (pudding and gelatin) sitting in the pantry at home as I speak. 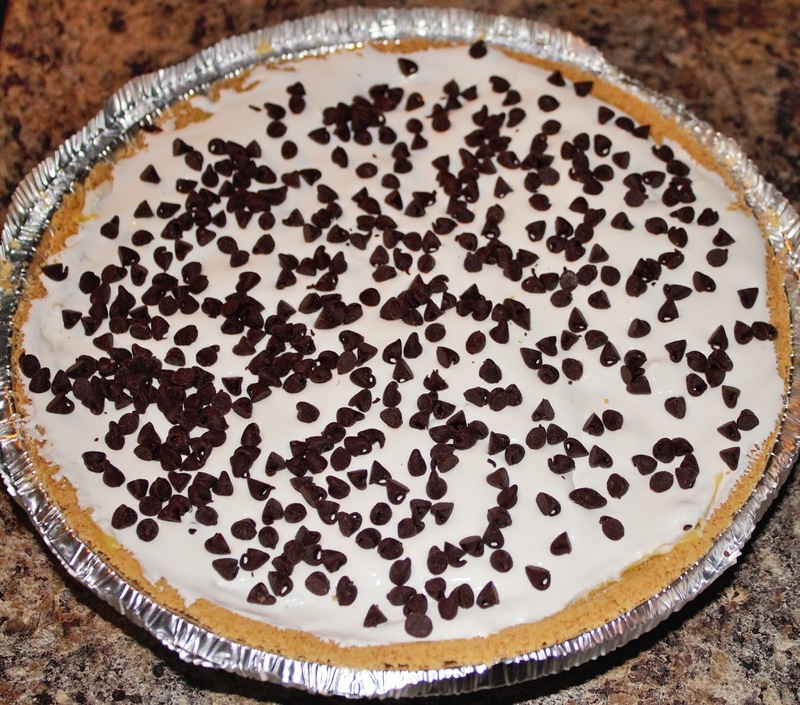 This is a quick and easy pie to make. If you are needing a dessert to take somewhere, I would suggest this or a variation of it (depending on the kind of pudding you are using). 1. Make the Jell-O pie filling as instructed on the side of the box for the classic pudding pie (mixing the pudding and milk together). 2. After making pudding mix, add in the one cup of mini chocolate chips. Blend well. 3. 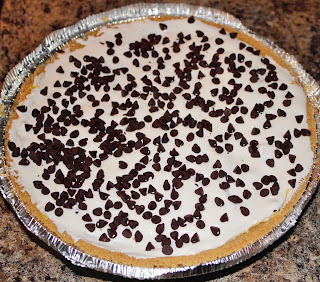 Once the chips are blended in, pour the pudding in the graham cracker pie crust. 4. Take half of a the whipped topping and spread on top of the pudding. 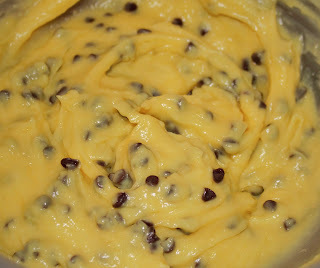 Then sprinkle the last half cup of mini chips on top. 5. Refrigerate for 1 hour or until the pie is set. I accidentally used the graham cracker crust for this. I bought this crust for make a key-lime pie I was going to make (which I will be posting about soon). The crust was suppose to be a chocolate one but I will use that one for another recipe. 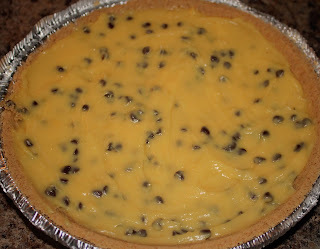 Does anyone else have any easy pie recipes that they have made? ?